The 1,000,000+ acre back-country wilderness area in northeastern Minnesota known as the Boundary Waters Canoe Area (BWCA). This designated wilderness area contains no roads and travel is by canoe only, except for the handful of lakes that remain motorized. Round up a few friends or family members to accompany you and contact Amigo to book your trip for a week in July or August. Sign up now - permits are limited - booking your trip before April 15th, 2018 is advised! If you can't find others to join you, still contact camp - occasionally there are other individuals also looking to form a group. Trip length can range from 4 to 7 days. 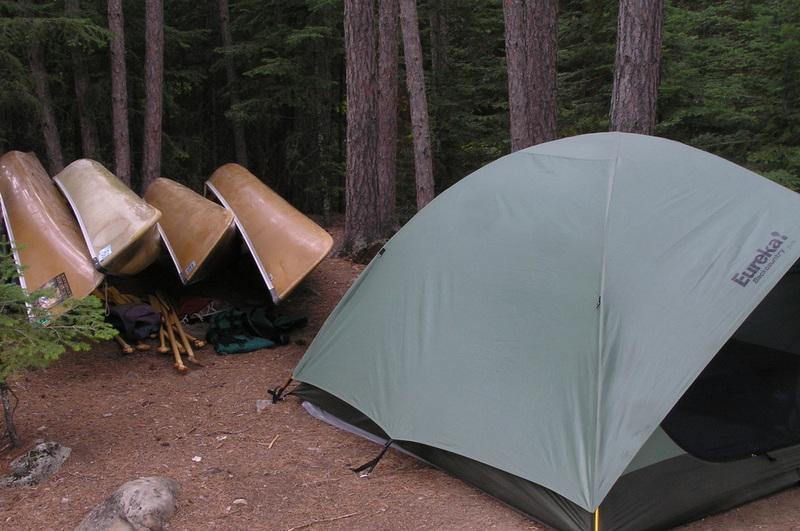 Most days will include paddling 4 to 10 miles, and portaging between the connecting lakes. A rhythm will be chosen that meets the needs of the group. Components of a typical day include: three meals and snack, 2-5 hours of canoeing/portaging, tearing down and setting up camp, free time and worship times. In the BWCA every campsite has a fire grate for cooking and a circle of logs to sit on. There are also fiberglass latrines for bathroom use. Each person will be given a specially-designed pack in which they will carry their own personal gear and a portion of the community gear (i.e. a tent or food bag) Personal packs weigh an average of 35-45 pounds. The canoes are lightweight Kevlar canoes that weigh about 50 pounds. Because of the demands of portaging participants are encouraged to be in good physical condition. There will be an orientation before each trip, so pre-trip skill level is not highly important.